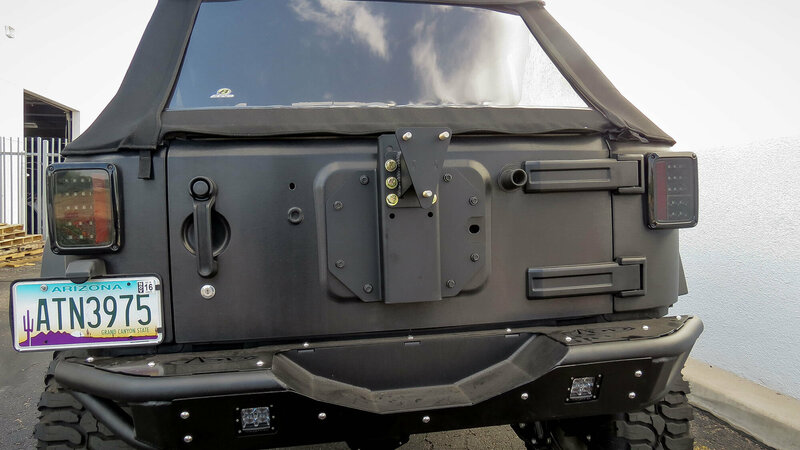 The Venom Tailgate Tire Carrier is a great option for the Venom Rear Bumper. 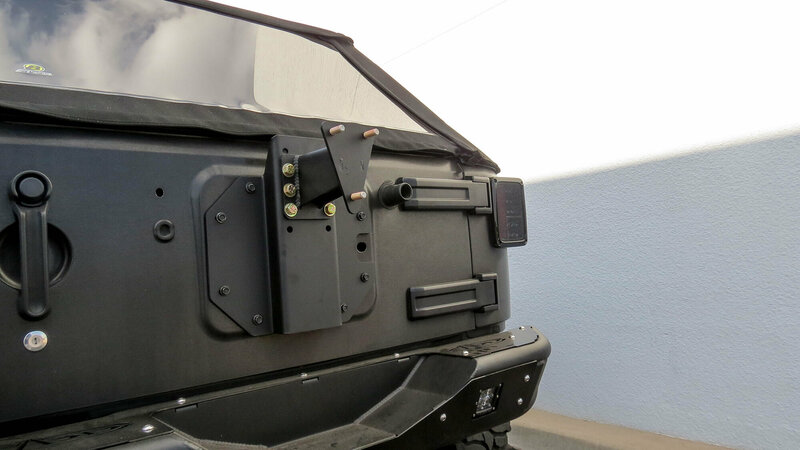 Direct bolt on unit mounts directly to the tailgate replacing the existing spare tire mount and is capable of holding up to a 40" Tire. 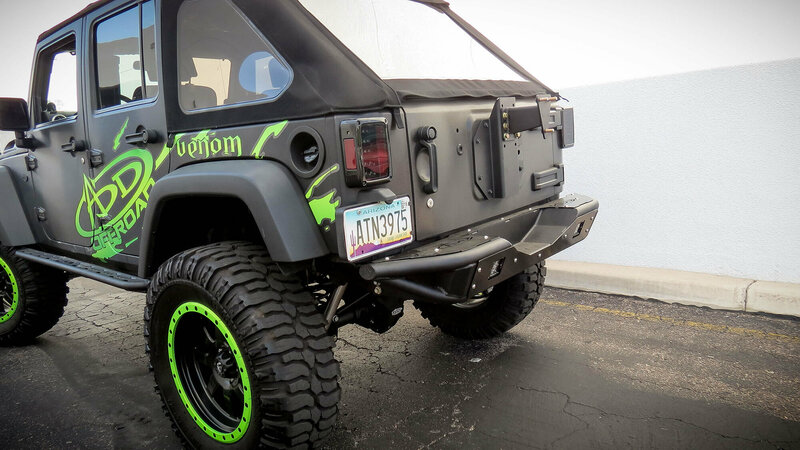 Hammer black finish matches the Venom Rear Bumper perfectly and completes the look of your JK!